Last week heads of State and Government — joined by leaders in humanitarian efforts and the art world — convened in New York to pay tribute to heroes who have made it their mission to counter violent extremism while advocating for peace and international engagement. 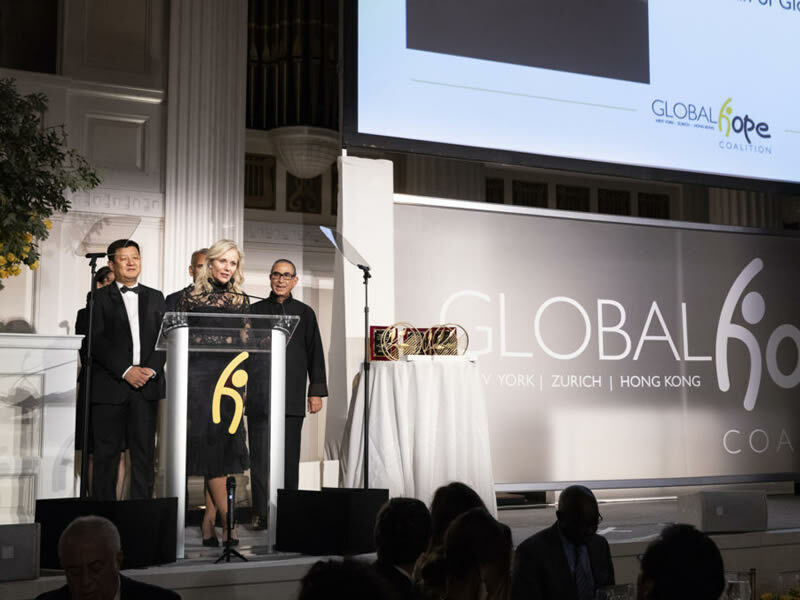 The dinner hosted by the Global Hope Coalition on September 27th, 2018, under the spotlight of the United Nations General Assembly’s 73rd session, aimed to create partnerships and resources that can help wipe out violent extremism. 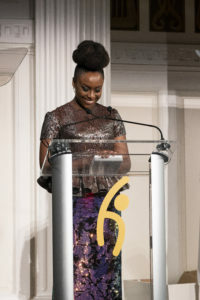 Novelist Chimamanda Ngozi Adichie, addressing the room. The evening began with Special Recognition Awards. The President of Niger Mahamadou Issoufou was recognized for his work to promote peaceful Islam in the Sahel region. Tunisian President Beji Caid Essebsi was awarded for his efforts towards cohesion and national unity in one of the world’s youngest democracies. Bangladeshi Prime Minister Sheikh Hasina highlighted her government and people’s compassion and rapid response to the Rohingya refugee crisis. Greek Prime Minister Alexis Tsipras was awarded for his country’s diligent multilateral engagement to provide critical humanitarian aid and education for the enormous influx of refugees to Greece. Finally, Nigerian novelist Chimamanda Ngozi Adichie, author of the breakout novel Americanah was also awarded. The 2018 Heroes against Extremism and Intolerance Awardees included Lebanese Parliamentarian and political leader Fouad Makhzoumi; Bochra Belhaj Hmida, a Tunisian Member of Parliament; female Imam Sherin Khankan, the daughter of a Syrian refugee now leading Maryam Mosque in Copenhagen; Delphine Horvilleur, a Rabbi who has become a powerful voice in her native France against anti-Semitism, prejudice and rejection of the Other; Omer Al-Turabi, a Sudanese author and advocate of a tolerant and peaceful Islam; and Mamadou Gassama, a Malian migrant now known as the “Paris Spiderman”. To learn more about the Global Hope Coalition, visit their website.